COCOCHOCO Keratin Mask 15 FL oz \ 500ml. Our COCOCHOCO Sulphate free Shampoo. Our COCOCHOCO Sodium Chloride free, Formaldehyde Free Conditioner. 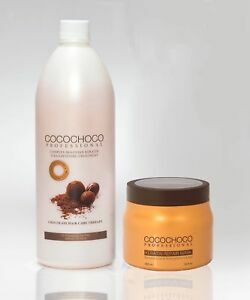 Use COCOCHOCO Sulphate Free Shampoo with every wash. Use COCOCHOCO Conditioner & Keratin Mask twice a week.